I apologise for updating so late. I completely missed like 2 weeks of my school course. I've already posted about them on my other blog which is dedicated for my makeup courses and career so don't forget to check it out! Here are some sneak peek... there is loads of photos on my other blog though. 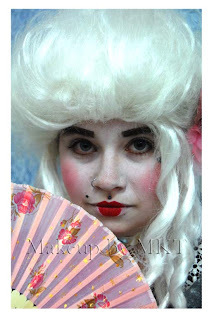 There are photos for Egyptian, Elizabethan, Geisha and 1920s makeup on ther other blog so don't forget to check it out and follow as well. I'm also on facebook so don't forget to like me on my page. I hope everyone is having a great week and hope you all have a great weekend. I'm currently testing out some new products and hope to share them with you soon! These are awesome. I miss doing makeup courses. I did a couple and then stopped. 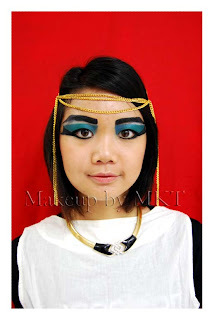 I love the Cleopatra look! @Sylvie: if you're ever interested in doing makeup courses, i say go for it!